One of the most underrated stories heading into Super Bowl LIII was the brilliance of Rams defensive coordinator Wade Phillips. His scheme worked perfectly against Dak Prescott in the divisional round — forcing the quarterback to beat his defense. Then, in the NFC Championship Game, Los Angeles’ defense pretty much shut down the Drew Brees and Michael Thomas connection. After two weeks of anticipation and story after story about the game, both the Los Angeles Rams and New England Patriots disappointed us at every turn. As noted above, Jared Goff was downright horrible for the Rams. Equally as shocking, Tom Brady might have put up the worst performance of his playoff career. Dropped passes, penalties and missed opportunities defined the remainder of the game. 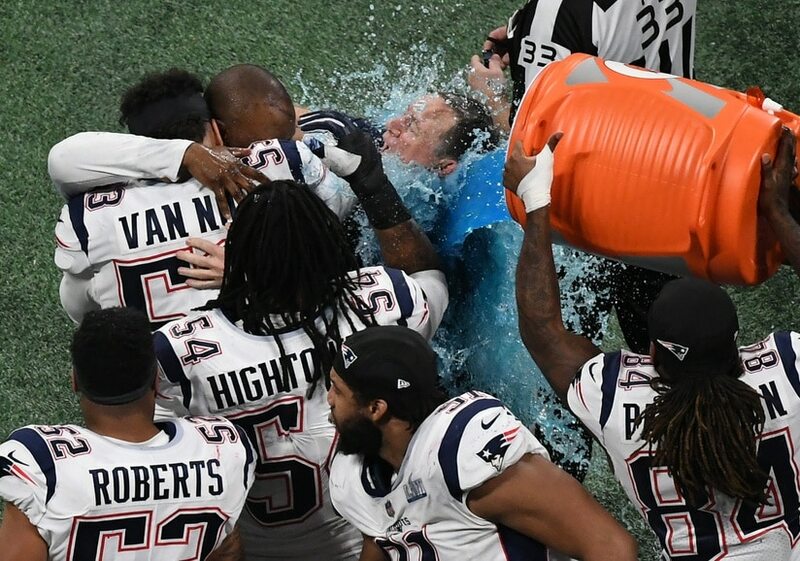 When all was said and done, New England came out on top by the score of 13-3 in one of the most brutal offensive showings in Super Bowl history. Sure we can say the defenses played well. They did. Both coordinators did their thing. Even then, the game itself might have been the most disappointing in NFL Playoff history. Can fans inside Mercedes-Benz Stadium get a refund? We’re asking for tens of thousands of fans. A lot was made of Sean McVay’s lack of usage of this All-Pro running back in the conference championship game. Was Gurley still battling a knee injury that cost him the final two regular season games? If not, was something else going on? We still don’t have a complete answer to these two questions. What we do know is that Gurley was a non-factor in Super Bowl LIII. When all was said and done, one of the Rams’ most expensive players came up absolutely small in the game’s grandest of stages. Two weeks after tallying 107 yards on seven catches against another former team, Cooks caught just 8-of-13 targets for 120 yards in the Rams’ loss. Most of that came with the game decided late in the final stanza. Prior to that, Cooks dropped what would have been a game-tying touchdown in the fourth quarter. Just brutal. When it counted the most Sunday night, Mr. Brady came up big time en route to earning his record sixth Lombardi Trophy. But prior to the game-winning 60-yard touchdown drive in the four quarter, this future Hall of Famer struggled big time. It will be lost in the narrative because the Patriots came out on top. In no way does this mean it should be ignored. The 33-year-old McVay headed into Super Bowl Sunday as the talk of the NFL water cooler. What he had done with the Rams’ offense after replacing an ineffective Jeff Fisher in Los Angeles was nothing short of extraordinary. The team averaged nearly 33 points per game during the regular season. Jared Goff played stellar football until some late-season struggles. Even then, we fully expected the Rams’ offense to show up Sunday evening in Atlanta. It did not happen. Los Angeles’ blocking scheme left a lot to be desired. McVay couldn’t get out of his own way calling plays — relying way too much on drop back passes from Goff. It resulted in the Rams scoring a grand total of three points in a performance that reminded us of the above-mentioned Fisher. Ouch!